For a variety of reasons, I’m starting to develop the mindset that more Christmas gifts should be homemade. I know it’s ambitious and perhaps considered odd in today’s day and age…but I’m thinking within a few years I may try to make most of my own gifts. That being said, this Christmas I did some knitting and also baking which will hopefully go over well. I made some of my favorite cookies (peanut butter with a Hershey’s kiss) as well as little acorns that my aunt Lynne showed my mom how to make. Check them out – a fun and easy activity with kids too. My mom wanted to make some cupcakes to bring to holiday parties and she used this amazing recipe that my sister actually handed out as party favors at my bridal shower (my wedding cake was Bailey’s!). I know this recipe came to her through her friend Jen who is quite the baker. There are two different types of alcohol used in these cupcakes… so NOT kid friendly! Preheat the oven to 350. 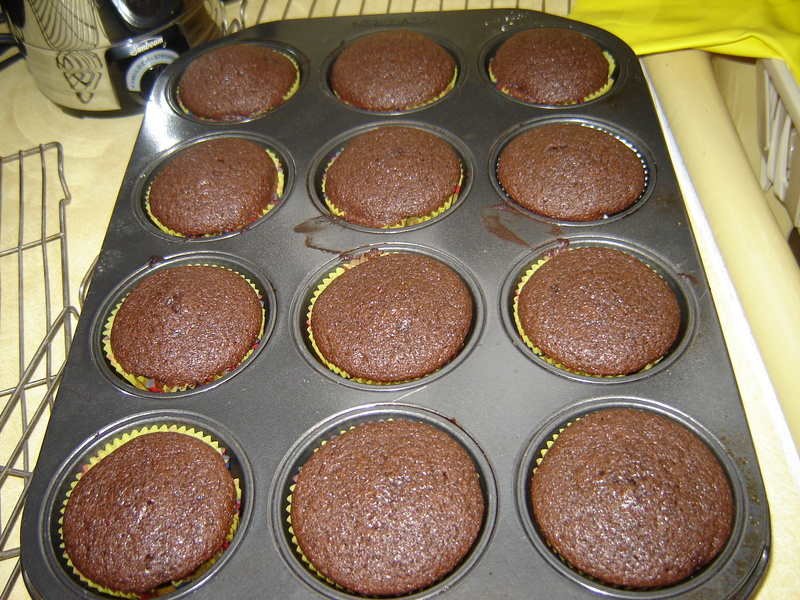 Line 2 cupcake pans with paper liners. Combine the stout and butter in a medium saucepan over medium heat. Add cocoa powder and whisk until smooth. Remove from heat and allow to cool slightly. In a large mixing bowl, combine flour, sugar, baking soda and salt. 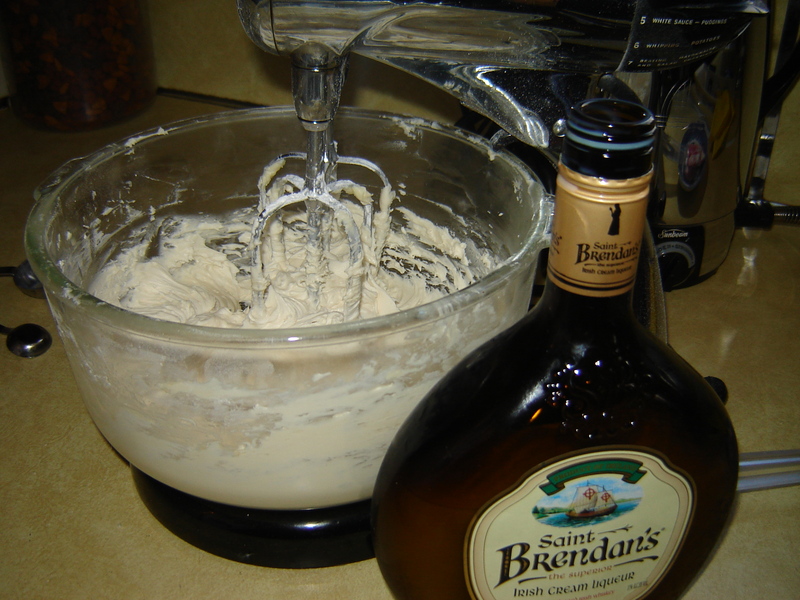 In the bowl of an electric mixer (paddle attachment or regular beaters), beat together the eggs and sour cream to blend. 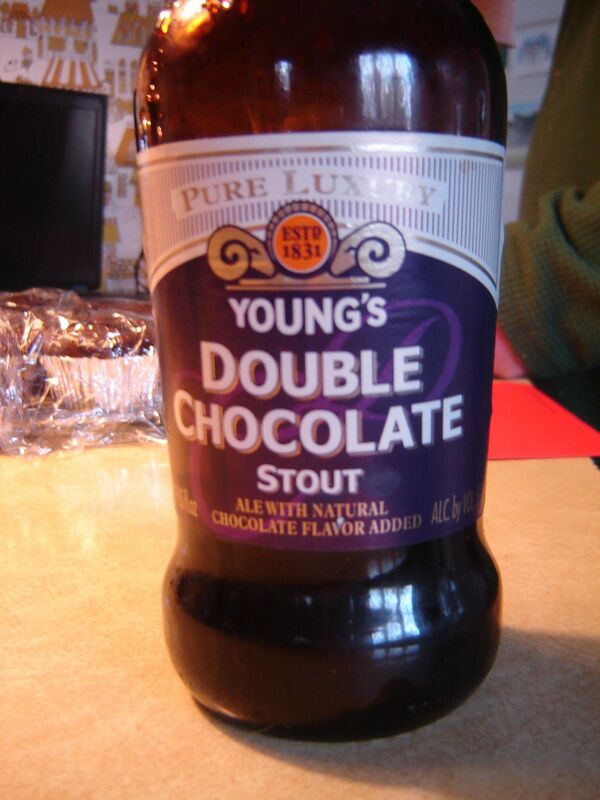 Add the stout-butter mixture and beat just to combine. Mix in the dry ingredients on low speed until just incorporated. 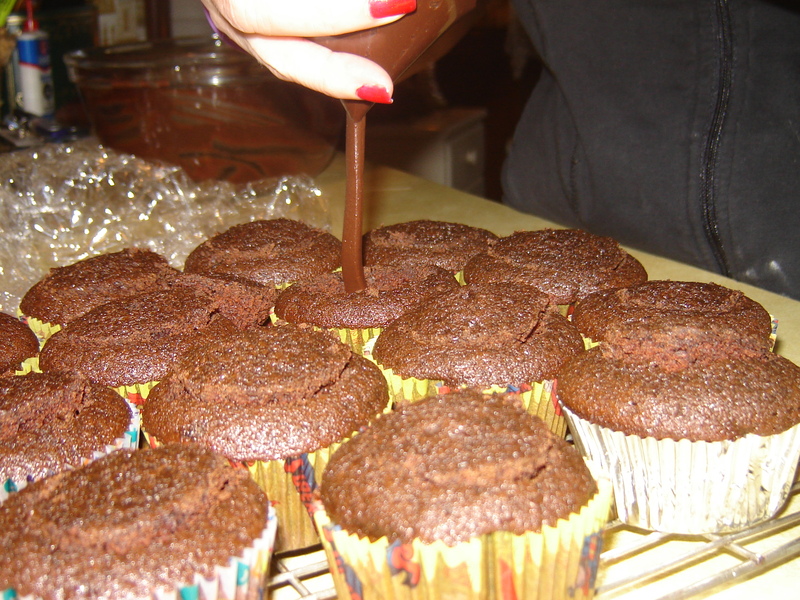 Divide the batter evenly between the cupcake liners filling them about 2/3 to ¾ full. Bake until a toothpick inserted in the center comes out clean, about 17-18 minutes. Allow to cool in the pan for 5-10 minutes, then transfer to a wire rack to cool completely. 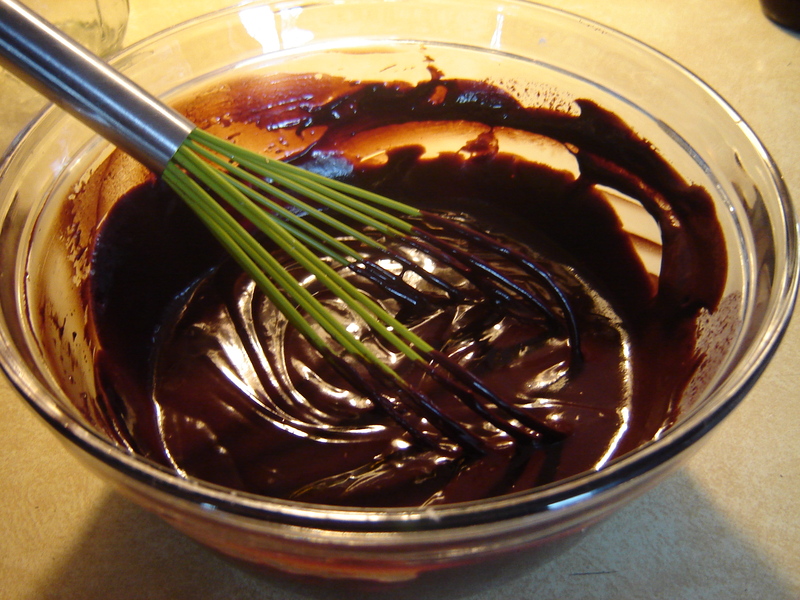 To make the ganache filling, place the chocolate in a heatproof bowl. Heat the cream in a small saucepan until simmering, then pour it over the chocolate. Let sit for one minute, and then whisk until smooth. If the chocolate is not completely melted, place the bowl over a double boiler or give it a very short burst in the microwave (15-20 secs). Add the butter and Bailey’s and stir until combined. Set aside to let the ganache cool until it is thickened. (You can use the fridge to speed up the cooling process, but be sure to stir every 10 minutes or so to ensure even cooling). 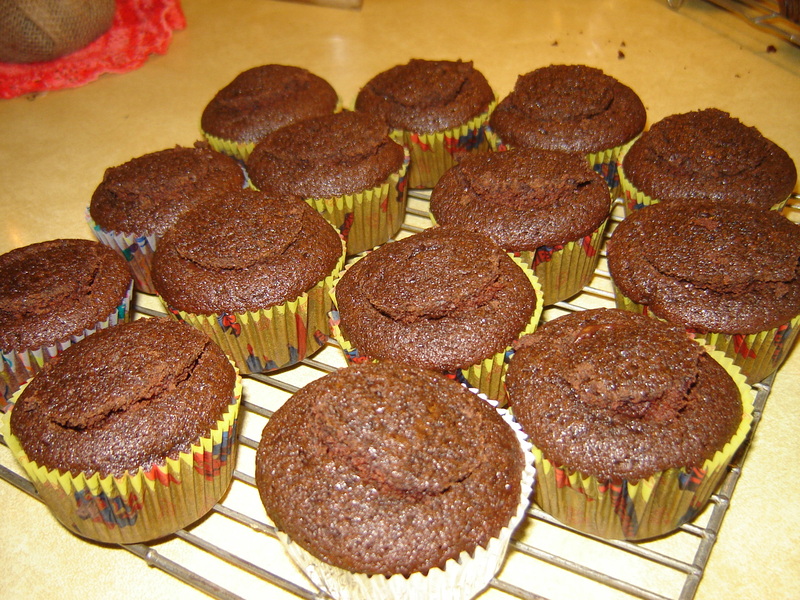 Meanwhile, cut out a portion of the center of your cooled cupcakes using the cone method (a paring knife works well). Once the ganache has reached a thick consistency, transfer it to a piping bag (I make my own snipping the corner off a ziplock bag) and pipe it into the cupcakes. Replace the cone on top. Place the butter in the bowl of a stand mixer (paddle attachment or beaters). Beat on medium high speed until light and fluffy, about 2-3 minutes. Gradually add the powdered sugar until it’s all incorporated. Mix in the Bailey’s until smooth. 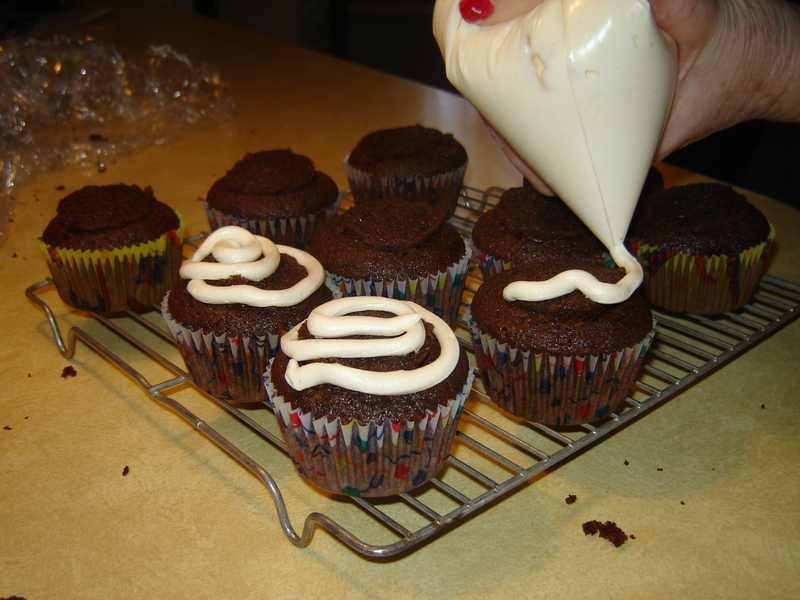 Add more if necessary until the frosting has reached a good consistency for piping or spreading. Frost the cupcakes as desired. Feel free to decorate as well, perhaps with shaved chocolate. 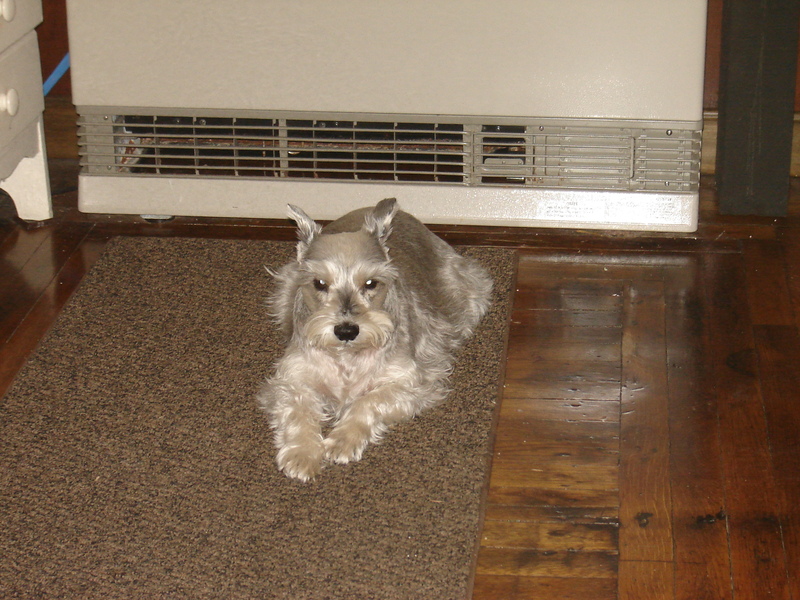 And of course, no cupcake with Irish and German influence is complete without an adorable mini schnauzer.